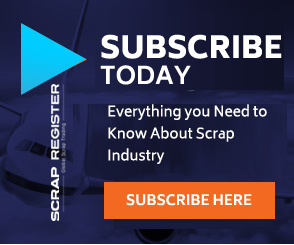 NEW YORK (Scrap Register): US HR coil prices continued to stay below $600 a short ton FOB Midwest Mill during the week ended August 26, while major US steel scrap commodities prices on Scrap Register Price Index remained unchanged. According to TSI, US Midwest HRC index continued its slide, losing $9 a short ton to finish the week at $587 a short ton . The index so far lost $34 a short ton during the course of August, however many buyers remained unconvinced about returning to the market with new orders, as they are expecting further falls. As market activity dwindled, prices slipped to the $590 a short ton mark and below. According to S&P Global Platts, US HRC imports jumped in July by 48% m-o-m, indicating that the gap between US and the rest of the world prices is putting pressure on the domestic US market.